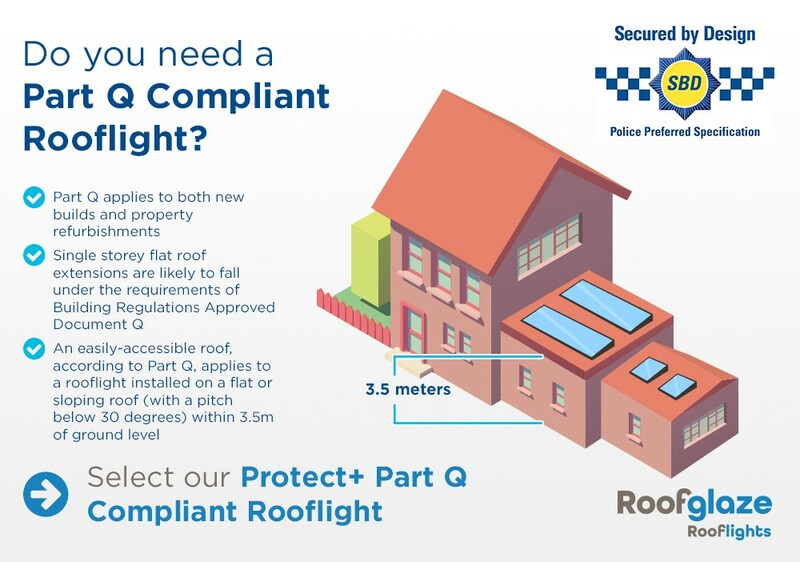 To comply with Approved Document Q Security – Dwellings Q1 – Unauthorised Access, on all domestic new build projects where the rooflight is ‘easily accessible’, the rooflight must be proven to be secure. 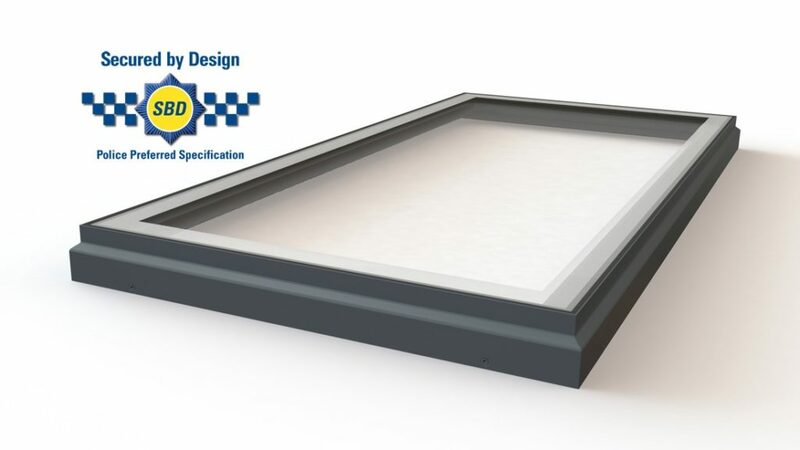 Our Flatglass Protect+ rooflights will have a minimum 8.8mm laminated inner skin which exceeds Class P1A classification of Intruder Resistance to BS EN 356:2000. If higher levels of resistance are specified, we can supply up to level P8B using various laminated inner or outer skins. Clutch head security screws or similar will be employed as kerb fixings. Flatglass Protect+ rooflights have been tested by Exova and it achieved resistance class BR1 to the STS 202 standard. This level of resistance demonstrates compliance with Document Q and enables us to join the Police Initiative, Secured by Design, which promotes products based upon how effective they are at resisting an intruder attack. Browse our range of stock Fixed Flatglass Protect+ rooflights.